SWOT analysis PowerPoint presentation - Free Download Now! Why do you need this tool for a SWOT analysis PowerPoint presentation? 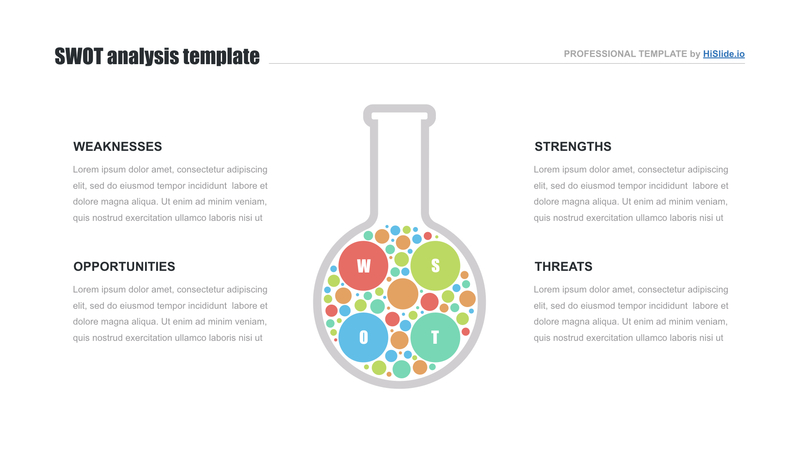 On the sample, you see our new template for a SWOT analysis PowerPoint presentation. It is a modern slide with a creative design and a clear structure. In the center of the slide, there is a flask with bubbles, which is surrounded by four text blocks. 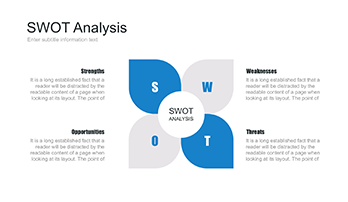 This element is designed to visualize the results on the SWOT analysis. It is an obligatory step for every company. If an enterprise tries to succeed, its management should be aware of either strong or weak points. These analyses allow considering the business from all possible sides and finding out these points. It helps managers to identify the issues that require particular attention. Our purpose is to offer a unique convenient tool that will help to clearly and visually display these findings. This SWOT analysis template for PowerPoint will cope with this task. The element makes presentations vivid and comprehensible as well as attracts attention. Perfect quality. 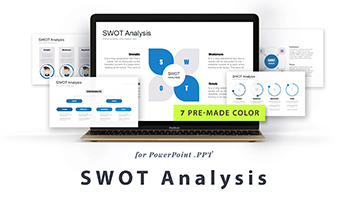 If you want to impress an audience and display a professional high-quality SWOT analysis in PowerPoint, this template is made for you. We tested it and can say for sure that choosing it a user will forget about visible defects and other nasty problems. The slide looks perfect on any screen. Built-in tools. These tools are designed to make users’ work easier and more convenient. Thus, one can edit all vector elements. Free download. 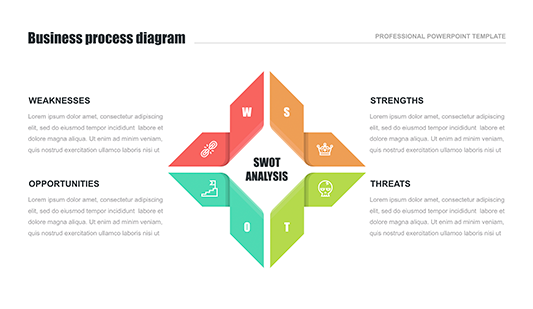 This PowerPoint SWOT analysis template is available for free. Every user can click on the button and download this element. Multipurpose template. The SWOT analysis should be made by every company or enterprise. Thus, this slide is useful for every businessman or employee who gets ready for delivering a speech on this topic. Premade element and an easy-to-use slide. Those users who do now want to lose time choose such an element. It helps to create a professional SWOT analysis PowerPoint presentation. The tool is aimed at making work convenient and proving users’ skills.